There is no question that this season for the Brooklyn Nets should best be described as, “one heck of a roller coaster.” Towards the last month of the season, the team had the toughest schedule in the NBA. How tough it was, you say? Brooklyn’s path had sort of a “quicksand effect,” where you were sure to escape, and then you found yourself getting sucked right in and out the playoff picture. One week their schedule proved to be tough, indeed, falling as low as the No. 8 seed; however, the team won some crucial games towards the end of the season and even moved up 2 spots in seeding to ensure themselves that they will be in the playoffs for the first time since the 2014-15 season. After starting the campaign with a win-loss record of 9-18, many fans began to grow impatient on a team which is still relatively young but just have not meshed their athleticism together as of yet. Eventually, this Brooklyn Nets team figured it out. It almost seemed like every night–win or lose–this team had the fire to play and play hard they did. At one point during the season, the team was riding a 7-game winning streak. The man that set the tone for his teammates as well as himself was 23-year-old D’Angelo Russell. This year, Russell had a career year in many categories as well as a few notable players like Jarrett Allen and this year’s three-point shootout champ Joe Harris. The team was amongst one of the best for shooting the three-ball, which is part of the reason why they have averaged 112.2 points per game. No one expected this from the Nets. To be this good with this roster. I guess we can kind of say not having LeBron James in the Eastern Conference does help. The Nets are projected to face the Philadelphia 76ers, who are one of the best teams in all of basketball. The playoffs begin next week. Only then where we will see what this Nets team is really made of. Sports Notes: (Basketball) How far will the Brooklyn Nets go in the playoffs? What’s next for the New York Knicks? 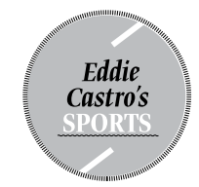 E-mail me at Castroeddie714@Gmail.com and let’s have the conversation.